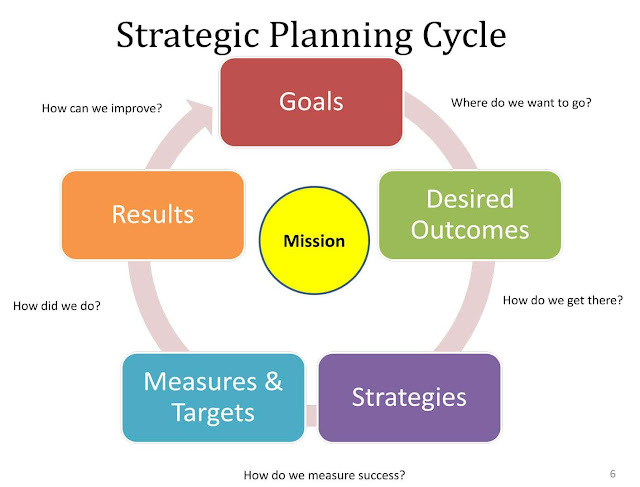 Strategic planning is a process of looking into the future and identifying trends and issues against which to align organizational priorities of the Department or Office. Within the Departments and Offices, it means aligning a division, section, unit or team to a higher-level strategy. In the UN, strategy is often about achieving a goal in the most effective and efficient manner possible. For a few UN offices (and many organizations outside the UN), strategy is about achieving a mission comparatively better than another organization (i.e. competition). For everyone, strategic planning is about understanding the challenges, trends and issues; understanding who are the key beneficiaries or clients and what they need; and determining the most effective and efficient way possible to achieve the mandate. A good strategy drives focus, accountability, and results.